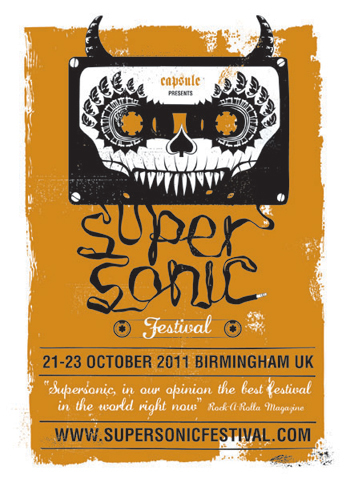 Turbonegro to play Supersonic 2011! Big news came our way recently when the self-proclaimed “Third-biggest Formula Rock Band in the World” Turbonegro returned with news of a brand new front-man, Tony Sylvester. It has been a whirlwind few weeks ever since, having returned to the stage at the annual Turbojugend Fan Club Convention in Hamburg on Friday July 15, after a two year hiatus to the roaring approval of their denim-clad fans.